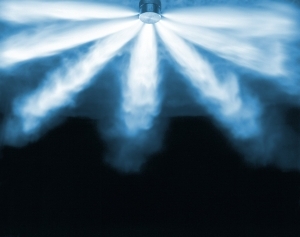 Environmental considerations and the agent’s clean credentials are now major considerations when selecting a fire suppression system, often ranked with equal importance to the speed and efficiency with which the agent extinguishes a fire. 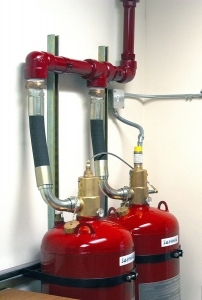 Since its introduction by Tyco Fire Suppression and Building Products in 2004, Sapphire® has been widely adopted as the fire suppression system of choice for many offshore applications. Such are its environmental and performance credentials that hundreds of installations have been successfully completed, and Sapphire has amassed a host of international approvals. Sapphire utilises the 3M Novec 1230 fluid, and has several major advantages over other extinguishants currently on the market that have unacceptably high global warming potential. It is sustainable, long-term technology that not only meets today’s legislative requirements, it also meets all of those in the foreseeable future. Sapphire can be used with absolute confidence to suppress fires involving vital electronic, computing or communications equipment and is ideally suited for protecting control rooms, data storage facilities and communication centres, as it leaves no residue to damage sensitive equipment; it is also non-conductive and non-corrosive. The high performance fire-extinguishing agent has a negligible impact on the environment and an insignificant global warming potential that is substantially lower than any of the halocarbon agents that are acceptable for use in occupied spaces. The suppressant is stored as a low vapour pressure fluid that, when discharged, converts into a colourless and odourless gas. Typical total flooding applications use a low concentration of the fluid that is well below the agent's saturation or condensation level. Sapphire installations have an installed footprint similar to that of other chemically- based clean agent systems and, most significantly, the Novec 1230 fluid has the lowest design concentration of any viable Halon 1301 chemical alternative. While certain halocarbons and inert gases are used at design concentrations that are below the NOAEL or No Observed Adverse Effect Level, with safety margins from seven percent, the Sapphire system offers a huge safety margin. The Sapphire system has amassed a host of international approvals including LPCB [Loss Prevention Certification Board], FM [Factory Mutual] and UL [Underwriters Laboratories] listing. It is type approved by LRS [Lloyds Register of Shipping]; MCA [Marine & Coastguard Agency]; Germanischer Lloyd; DNV [Det Norske Veritas]; BV [Bureau Veritas]; ABS [American Bureau of Shipping]; and RINA [Registro Italiano Navale]. It is accepted by NSI [Netherlands Security Inspectorate]; BZI [Belgium Maritime Authority]; Icelandic Maritime Administration; and DMA [Danish Maritime Authority]; Marchant Marine; and meets the requirements of the European MED [Marine Equipment Directive], having successfully completed MSC [Marine Safety Committee] 848 testing.